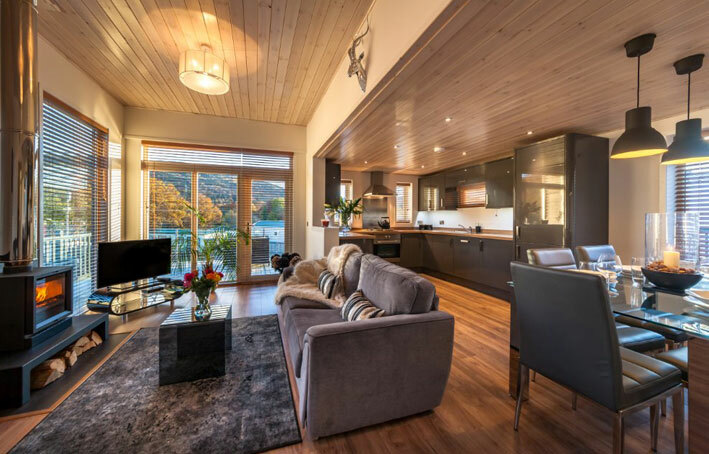 Staking its claim, as one of Scotland’s most exclusive and desirable Holiday Home destinations is Taymouth Village, situated on the five star Mains of Taymouth Country Estate & Golf Course at Kenmore. 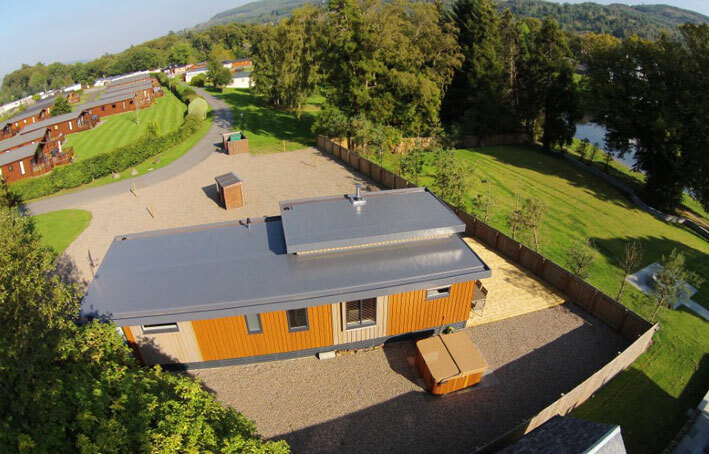 The well maintained and mature village, which borders the banks of the River Tay in a most spectacular setting, gives owners access to the entire Mains of Taymouth estate, with its many top class amenities, including nine hole Golf Course, Equestrian Centre, Restaurant, Deli and gift shop. The wildlife rich area is ideal for those keen on fishing, walking, golfing and biking, with numerous visitor attractions nearby. 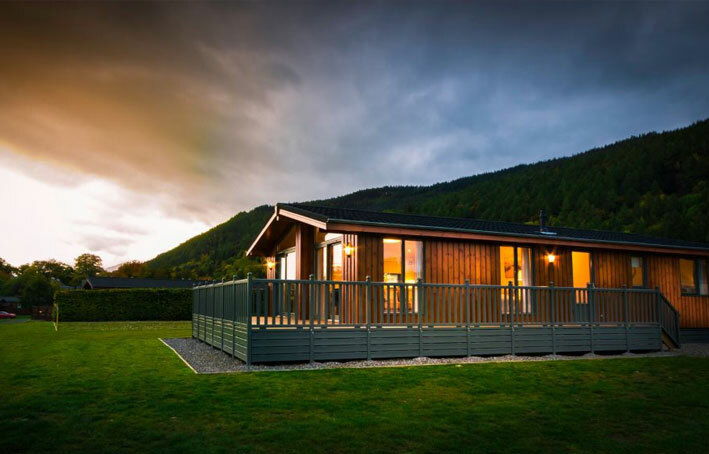 Luxury lodges, from Island Leisure can currently be purchased from a very affordable £179,000 at Taymouth Village. Two stunning styles are available to choose from – the “Tay” and the “Riverside”, featuring two or three bedrooms. 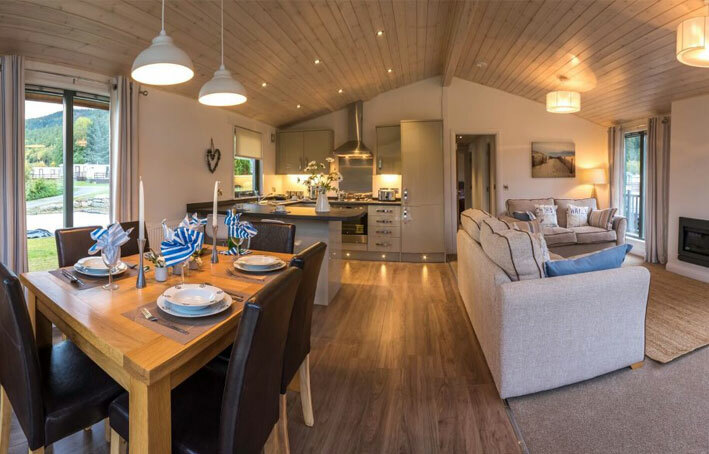 Lodges can be supplied furnished at an additional cost if so desired and can also be custom designed to suit individual layout requirements, with features such as utility rooms, saunas or studies incorporated into the overall design. 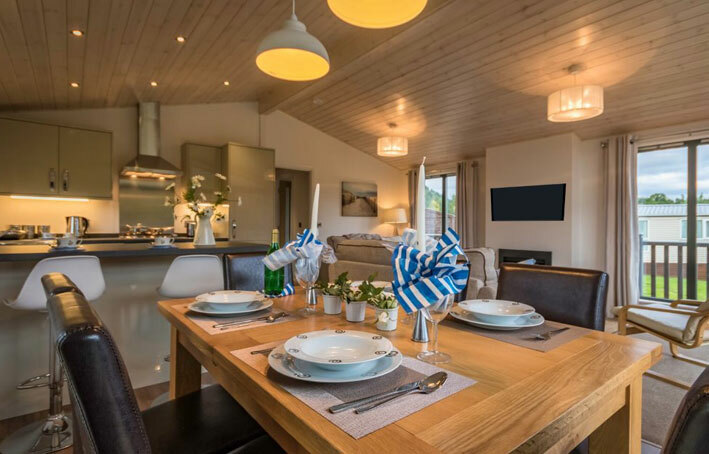 “With Spring on the horizon, our current selection of luxury lodges represent a great opportunity to buy into Taymouth Village, whether for investment or holiday home purposes,” said Pauline McLaren, General Manager of Mains of Taymouth Country Estate and Golf Course. “A quality lodge in a picturesque location such as this does not become available every day. The full package we offer, of on site maintenance and security is another added bonus for our buyers and continues to ensure we are multiple rated for our overall service and amenities.” she added. Taymouth Village is within a short walking distance into Kenmore village itself, where the local hotel and post office can be accessed. Kenmore is within an hour and a half’s drive time from the major cities of Glasgow, Edinburgh and Dundee, making it a highly accessible part of Scotland in which to invest.